Oklahoma has everything you need for an unforgettable RV road trip. Not only is the drive beautiful, but there are several great RV camping spots throughout the state. There are over 24 Oklahoma state parks that accommodate RVs, as well as unique get away spots like A to Z Guest Ranch. There are 14 RV camping sites available for A to Z guests. All campsites have electric and water hook-ups and general amenities including bath houses, dump stations, a wash station for horses, etc. Three of our sites come with 50-amp services, two of which come with sewer hook-ups as well. Most of the camping sites come with up to two outside corrals and covered stalls for guests who bring their own horses or ATVs. Additional corrals and covered stalls are available for guests who need them for a small charge. Prices for camping sites range from $30 to $50 a night, depending on which services you want. Check out our camp site rates for more information about prices, amenities and services. To make a camp site reservation, email atozguestranchzondra@gmail.com with the necessary information, which you can find at the bottom of our camping page. For check in/check out times and our reservation policy for all our available RV sites and cabins visit our Cabin Policies page. Before you hit the road, visit TravelOk.com to read their article RV Camping in Oklahoma: The Complete Beginner’s Guide. 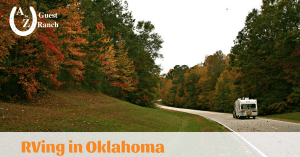 You’ll find useful information about RVing in Oklahoma, including great tips, other RV hot spots and unique RV sites, and helpful links such as their RV Camping Areas page where you can browse through 391 RV camping areas throughout the state. For useful maps visit RVparkfinder.com or allstays.com to help you locate RV sites in Oklahoma and to help you plan your trip from start to finish. Another site you may find helpful is rv-camping.org which has useful links and research tools. Make Oklahoma your next RV road trip destination. 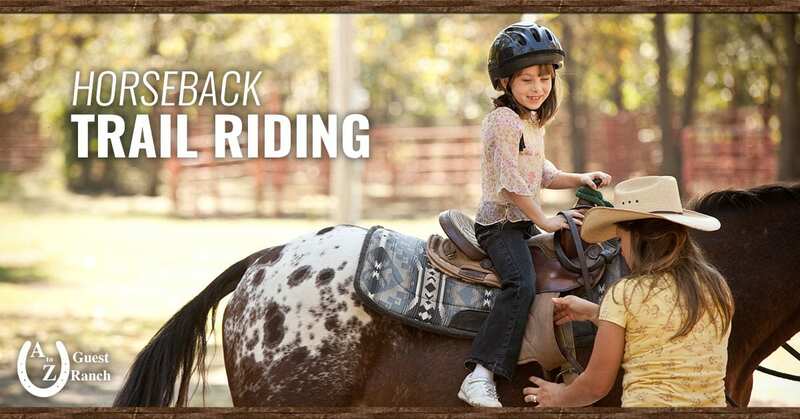 Contact A to Z Guest Ranch today to reserve your RV camp site for an unforgettable getaway.